Please leave your reviews on the Glass Screens. Today I got my MNH glass screen today. Heat distribution is great! Don't have to worry about any ash falling into the bowl. I will use this screen on every bowl now! This thing is better than metal screens or foil. It's a must have for your collection. 20 out of 10...MUST TRY THING....WORTH EVERY FREAKING CENT AND THEN SOME!!!! Interests:Smoking the Hookah, Soccer, Rummy, Euchre, Video Games(halo3), Hanging Out. Dump lucid in bowl, set screen, set charcoal, wait 5 minutes, SMOKE! Im gonna test my larger screen with my superchief and regular tangiers tall head soon! 15/10 - No more foil for me! Where has this been all my life?!?! 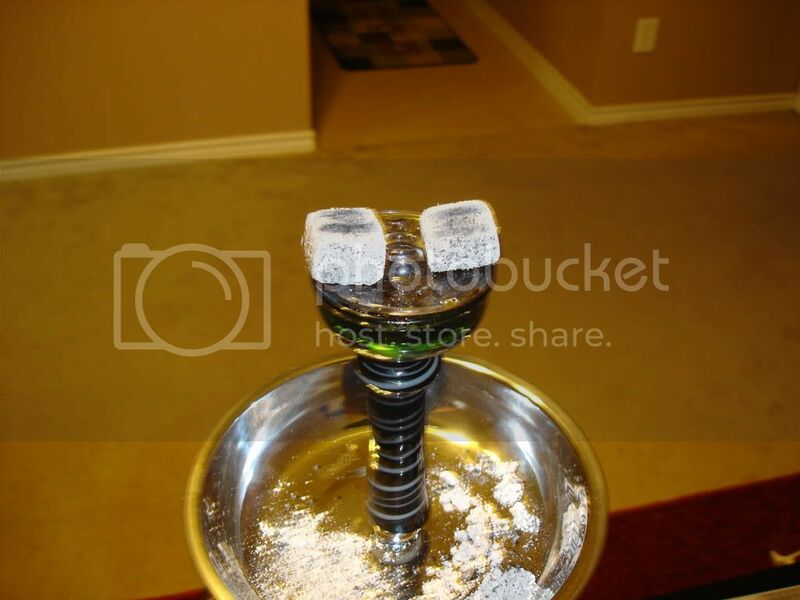 Screen is shaped perfectly so coals don't slide off, manages heat perfectly, no ash in the shisha. It doesn't get any better. As revolutionary as the funnel bowl!! - Amazing clouds once screen heats up. The entire screen becomes a heat source, so you get even heat distribution thru the entire bowl. - No ash in shisha to taint the flavor. Get amazing taste right down to the last few pulls. - No foil & no holes! - fragile, just be careful with it. It is glass afterall. Must agree with Nick, Best $10 I ever spent. Mine was lop-sided, but seals well on my Jet bowl. I was kinda scared to put the first coal on, but nothing happend and I didnt know what to expect. Makes cleaning up a breeze. I like that I can look down in the bowl and see how much shisha has burned. I still dont know how to get the burned shisha marks off yet. A $10 piece of glass sitting at the top of a tall hookah that isnt being held down is kind of unsettling, but then there is a seal so it stays put. Pros: Easy to use, no ash falling, no need to prepare foil and poke it ever again. Cons: MAJOR pita to clean. Use it in bowling water with baking soda in it for 5 minutes, then out in WARM water right away (not cold, or youll break it) and scrub the black crap off. 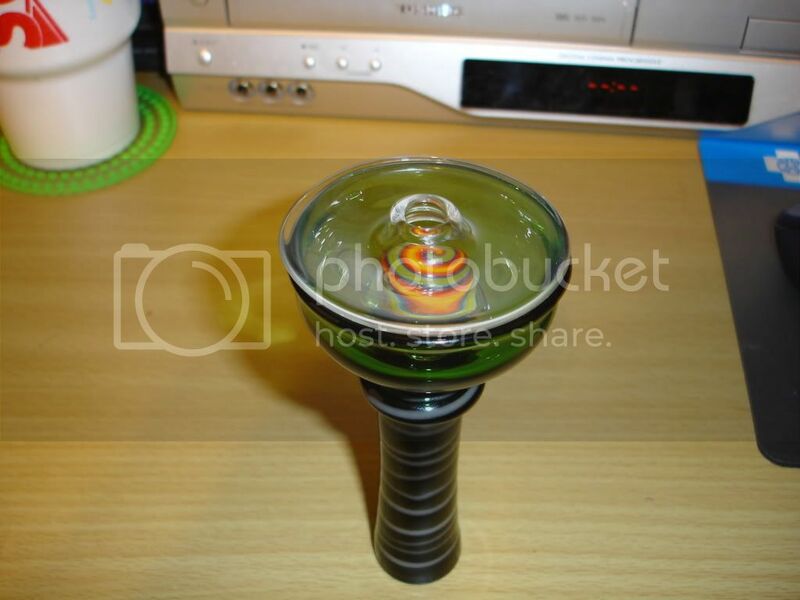 Quick question for you guys with the glass screen & jet bowl. My screen doesn't sit flush with the top of the bowl, so the only way it really "sticks" to the bowl is if I load more shisha than normal. Is this just how it's supposed to work? Is the tobacco supposed to be touching the screen, or do you still leave some space, as with foil? Mine wasn't hitting very well until we added more shisha to the bowl. Thanks for the help. love the screen except its very hard to clean. Sent in the measurements for mine today. All this talk gets me excited. Can't wait for it. Results in: I love it. Awesome heat distribution. Nice, thick clouds. No coal taste whatsoever. It likes to put the coals out nice and quick, but a flip here and there does the trick. I have yet to have to clean it since i've been careful about making space between the glass and the tobacco. My scalli is nice and black though haha. I can only imagine the same thing would happen to the screen. Got my screen not too long ago. I must say, it's definately worth the money...haven't had that really "burnt" taste, heat management is much easier, and no ash gets into the bowl. The only downside that I've noticed so far is that it's hard to clean, in fact I think some of the burnt on stuff will stay there forever. 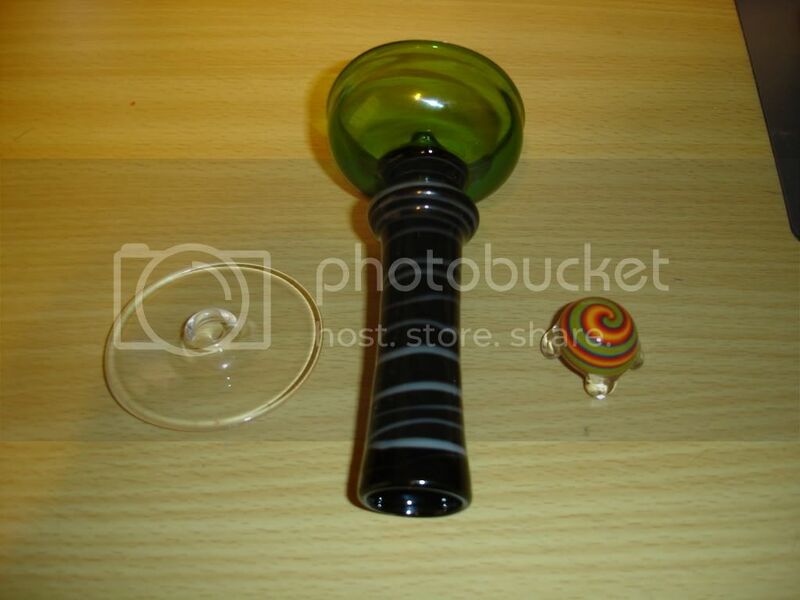 I ordered one of these from MNHookah to use with a small phunnel bowl and scali mod, I can't wait to try them together! Has anyone tried rubbing a TINY bit of olive oil on a glass scali mod or glass screen to make them easier to clean? Interests:Of coarse smoking hookah.<br />Repairing pinball machines.<br />Food.<br />Otter Pops.<br />Bright clothing.<br />Music.<br />just kicking back and hanging with the amigos. So far steel wool is my friend. If it needs an extra kick i spray some simple green on it and then scrub with the steel wool. So far i only have two brown spots the size of a pin prick stained on the glass. So i guess im having a lot of sucess in the cleaning department. I just received my glass screen and "scali" mod from MNH today and I love it! Used them both with my small Tangiers phunnel bowl and noticed a huge difference. Usually on my small bowl I use 3 coco nara's without the windscreen. Today because I added the wind cover and anticipating a difference with the glass screen, I started with only 2 coco nara's. Things heated up pretty quickly and I was soon down to only 1 coco nara split in half. It worked perfectly, I'm excited to use it again tomorrow. Right now I have the glass screen and mod sitting in a tub of tonic water....wonder if that will help keep them clean. Interests:Hookah, Underground Hip Hop,obscure t-shirts and designs, Old school video games, The Boondocks, The Office, documentaries, psychological thriller movies, eating new foods, Beer,digging crates,making mixed cds, eating and cooking new ethnic foods and different meats. Soes anybody have any pics of this "glass screen?" I'm thinking of getting one because I really don't want to deal with foil, and anything that's good at transferring heat to the shisha, then I'm all for it. I did, but I can't see any pics. That's why I thought there wasn't any. Where is the best place to pick up a glass phunnel and glass screen?